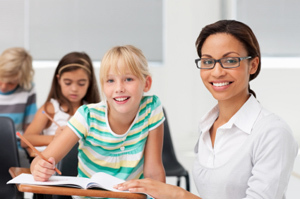 Under this category are teaching certificates and early childcare education programs. An early childcare education student will learn to teach young children through the use of play to teach language development, social skills, scientific & mathematical concepts, and create artistic development. These skills along with the main skill of basic care and teaching duties is what a degree in early childcare will teach. We have created list of early childcare education programs and schools on this page as well as other courses provided by schools under the general education or teachers training. Find out about teaching programs and education programs below and request your free information now! Set yourself apart in today's competitive marketplace with an advanced degree you can earn fully online through Concordia Online Education. We bring together a powerful selection of online Business, Education, and Social Sciences graduate degree programs from our three founding institutions: Concordia University, Nebraska; Concordia College-New York; and Concordia University - Portland. All three accredited, nonprofit, and faith-based institutions have pioneered the online advanced degree experience for working adults, making sure every master's or doctoral program meets the highest academic standards, delivers world-class student support, and provides comprehensive, compassionate instruction.